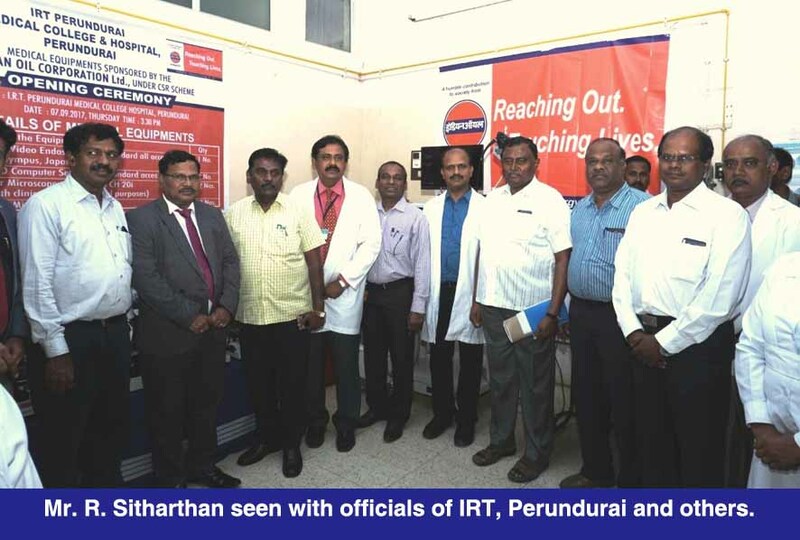 In sync with its Core Values of Care and Trust, IndianOil extended a helping hand to IRT Perundurai Medical College with provision of medical equipment. 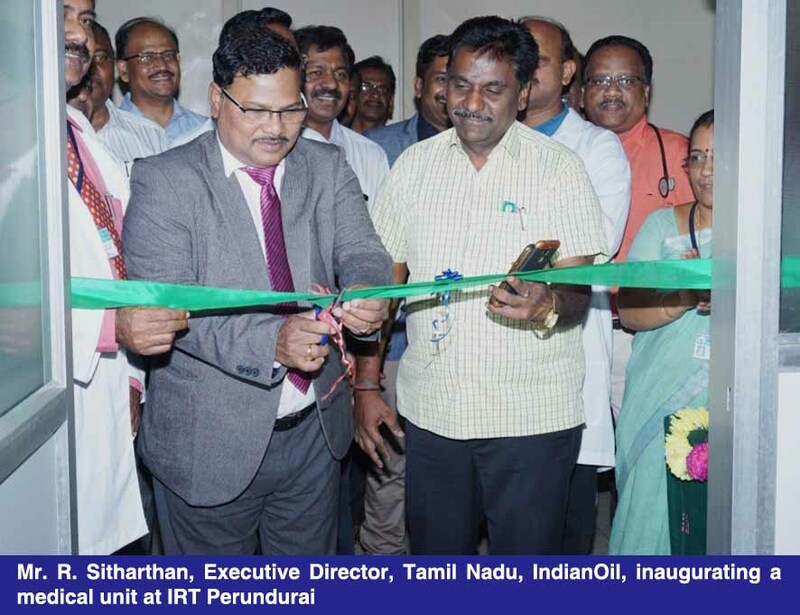 Mr. R. Sitharthan, Executive Director, IndianOil, Tamil Nadu and Puducherry, inaugurated a medical unit and donated medical equipment worth Rs. 20 lakhs. During the occasion, he said: “Road transport is a synergistic vertical to IndianOil’s business. 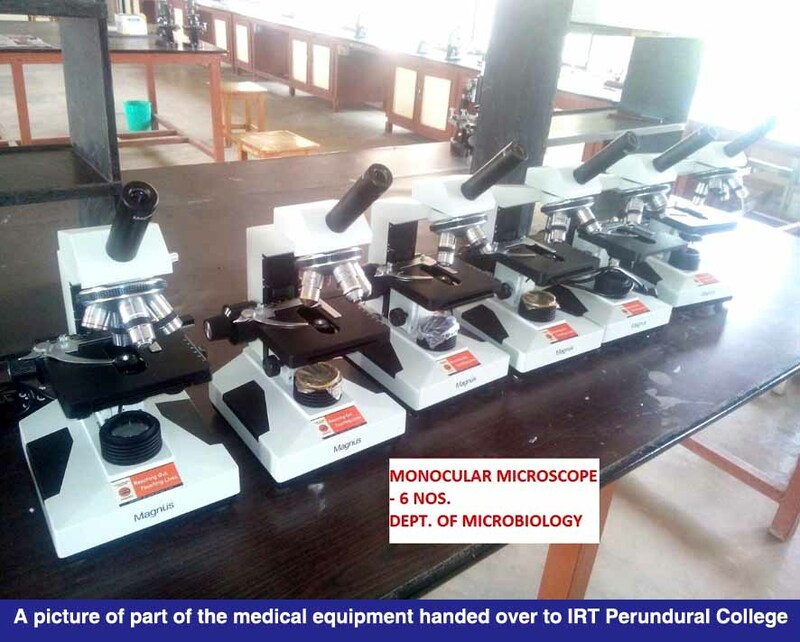 Hence donation of these medical equipment to IRT Perundurai Medical College would enable them to treat patients effectively. It also serves as an extension of our social commitment to ensure safety and well-being of the communities that we operate in. We are very happy that the IRT Medical College team is very enthusiastic to serve the needy through this institution”. He further mentioned that “13 numbers of Monocular Microscope, 2 numbers of Binoculor Microscope for Department of Microbiology, Department Of Pathology and other equipment for Department of Surgery have been given”. IndianOil Tamil Nadu State Office plays an important role in the growth and development of the State with a substantial contribution to the State Exchequer. With a 48% market share, IndianOil Tamil Nadu sold around 6.18 MMTPA of various petroleum products in the State.